Hyundai Philippines is helping you cool off this summer with their DEALights promo. Easy-to-own schemes for the Accent, Eon, Elantra, Sonata, Veloster, Tucson, Santa Fe, and Grand Starex models make them closer to your budget. With the Hyundai DEALights, save as much as P 150,000 that is usable as a cash discount or it can be used to reduce downpayment or even the monthly amortization. What’s more, each new vehicle purchase entitles the owner to be an exclusive member of the One Hyundai Family. The One Hyundai Family is a rewards program that offers freebies, discounts, and 24/7 nationwide roadside assistance. All vehicles also come with Hyundai Cares, the 24/7 hotline dedicated to assisting both pre-sales and after-sales inquiries or concerns. This summer deal is made possible with partnership through BPI, Chinabank Savings, Eastwest Bank, Maybank, RCBC, and Security Bank. 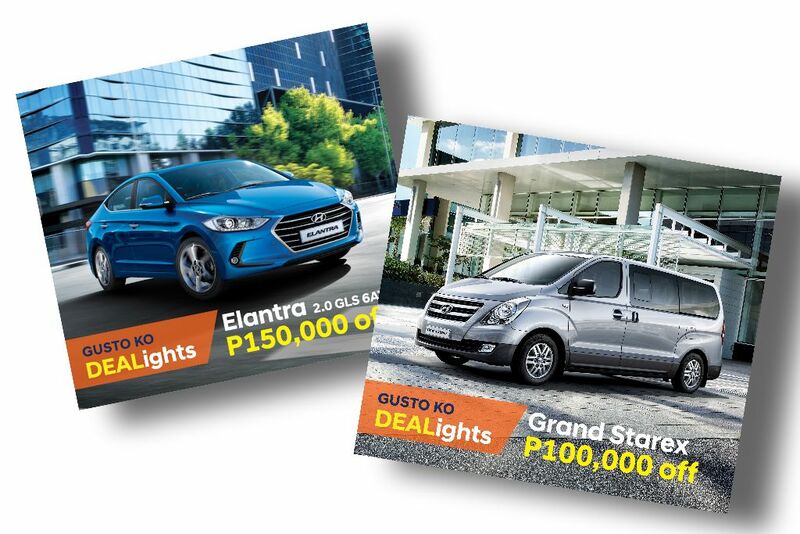 The Hyundai DEALights promo runs up to May 31, 2017 only.